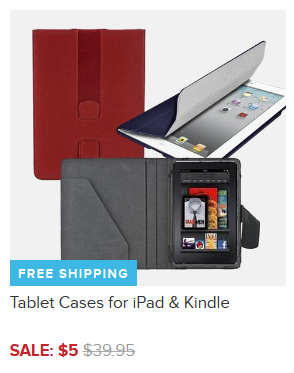 Kindle & Tablet Cases As Low As $5 + FREE Shipping (Reg. $30+)! You are here: Home / Great Deals / Kindle & Tablet Cases As Low As $5 + FREE Shipping (Reg. $30+)! If you need a new case for an expectant 😉 tablet this Christmas, then be sure to check out these Kindle & Tablet Cases for As Low As $5 + FREE Shipping (Reg. $30+)! They have a few different ones to choose from, so don’t miss out!